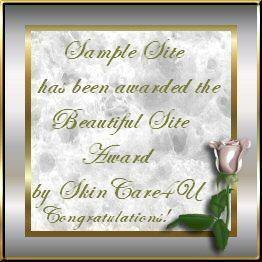 To apply for an Award from SkinCare4U, your site must be a "Family Friendly" site! Please take time to visit these Award Winning Sites! display their award with a link back to us will be removed. Beauty News - Get the inside scoop on trends, offers, and product launches.